Born at the Swiss Federal Institute of Technology in Lausanne, ARTMYN offers a new generation of technological tools and services for the art eco-system. Combining thousands of photographs captured with different light sources and spectrums – including UV lights, ARTMYN generates interactive 5D images and movies providing an emotional experience on screen. The scanning process extracts the DNA of an artwork by acquiring its unique features – making the original unforgeable. Form Partnership to Improve Buyer Experience and Increase Art Market Transparency and Buyer Confidence. 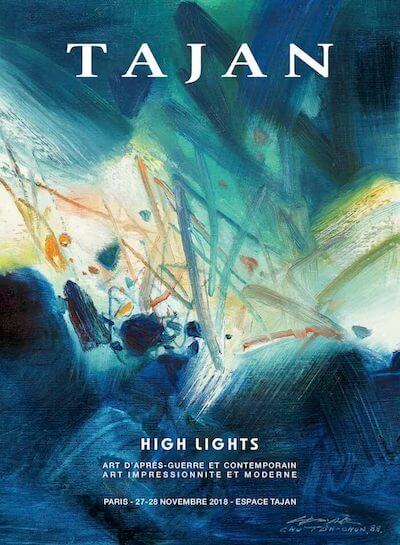 In partnership with auction house Tajan, ARTMYN's interactive e-Catalogues showcase the lots of their sales in a unique and engaging way. 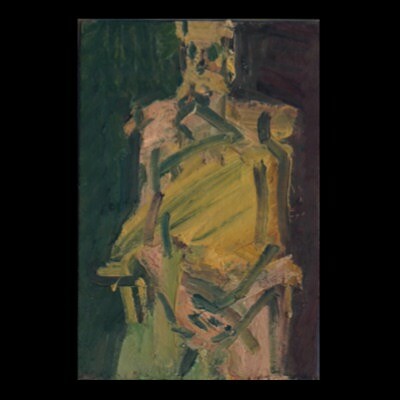 Click on the e-Catalogue on the right to discover the e-Catalogue of the Modern and Post-war Art sale. Touch artworks with your eyes at multi Gigapixels resolution. Boost online engagement with Interactive movies and e-Catalogues. Develop expertise tools to protect artworks' DNA. Upon digitization of artwork, ARTMYN scans reveal their textures and materiality, allowing you to “touch them with your eyes” with over 1.2Billion pixels. The digital twins can be experienced and analysed on screen, under any light angle, almost as if the original pieces were in your very own hands. Whether for security or insurance purposes, the scanning process also generates a unique digital fingerprint under visible & UV light spectrum. This process safely captures the “DNA” of the artwork and what makes it unique - its topography, reflectance & colorimetric properties. As the technology reacts to the slightest changes of condition invisible to the naked-eye, an artwork scanned with ARTMYN technology becomes unforgeable! Promote and magnify collections with unparalleled interactive audio-movies. These “Guided Tours” of the artworks will embark viewers into an emotional journey where the artists’ techniques will be revealed and experienced like never before. Interactive files and movies can be integrated into ARTMYN new generation of e-Catalogues: their design can be entirely personalized or adapted to existing PDF formats, content can still be edited even after online publication and their access can be public or restricted to specific audiences. Capturing artworks DNA at different times enables ARTMYN to monitor their condition after transport, storage & restoration. ADDA can automatically compare two sets of scans of the same artwork - done at different times - and not only detect whether it is the same artwork that was scanned the 1st time, but also compared the conditions and determine to which extend the artwork may have been damaged or restored. In collaboration with the Geneva-based Fine Art restorer Pierre-Antoine Héritier, ARTMYN developed a new standard for Digital Condition Reports (DCR), where all the specificities of an artwork can be illustrated by experts and specialists in a highly detailed, technical and interactive manner, using visible and UV light spectrums. The Digital Condition Report is a tool that offers a more unified and transparent way to approach art analysis on screen. 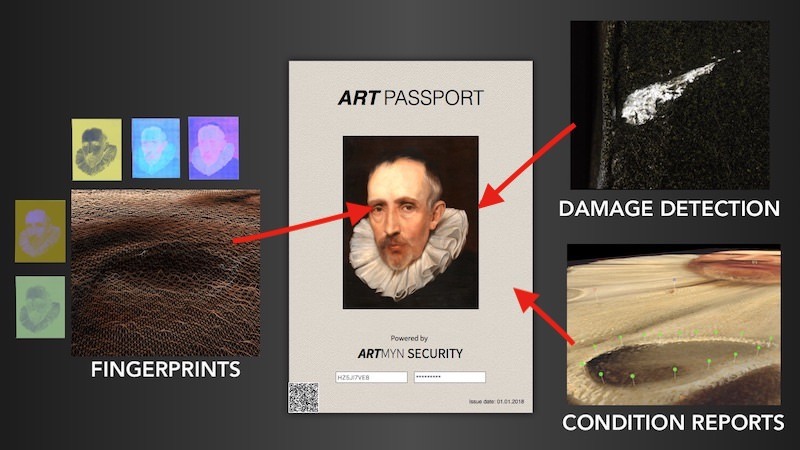 Promotional and security features can be compiled into an individual highly secured digital passport that will accompany an artwork over its lifetime, preserve its DNA, ensure its traceability, its condition and authenticity – hence, bringing unprecedented transparency into the Art Market, while guaranteeing collectors total confidentiality. Click on a partner to discover its 5D artworks. Alexandre has a background in the finance and fine art industry. He held analyst and BD positions at Bank Julius Bär, Unigestion SA, and Louise Blouin Media. He was also in charge of the logistics and finance for the coal-trading department at Glencore. With the desire to combine art and business, he then moved to London, joining Christie’s as an assistant to the Chairman’s Office. Alexandre holds a B.Sc. in Business Administration from Fordham University and an MLitt. in History of Art and Art World Practice from Glasgow University. Julien held various R&D positions at French Alternative Energies and Atomic Energy Commission, Oxford Technical Solutions and Smith Heimann. Since his arrival in Switzerland he worked both for Vidinoti, a startup in augmented reality developing products using light-field cameras and for the Audiovisual Communications Laboratory at EPFL on the eFacsimile project. He holds a master degree from Strasbourg’s Engineering school of Physics. Matthieu has a strong background in user experience focused web application. Since his last year of bachelor at the University of Bristol, he started with the project Keesaflo in cooperation with p.ota.to and is now the author of several open source web applications. After interning at Google, CA on an education oriented web project he interned at Skype Prague and NEC Japan on web and machine learning related projects. He holds a Master's degree from EPFL's school of Computer Science. Grégoire has more than 20 years of experience in the Art market. He has held Auctioneer and head of Estates, Appraisals and Valuations Department positions at Christie’s, the world's leading art business, where he played a key role in the consignment of private collections and single major artworks, setting world record prices. Grégoire also published several paper and books covering artworks, heritage, architecture, collections, art market and legal regulations. He has been Presenter of television programs covering arts and antiques. Grégoire holds a Master Degree in law, a Degree in History of Art and a Master in English Legal System from Warwick University (U.K.). Damien held R&D positions at Qualcomm and EPFL with a strong emphasis in computational photography. He specializes in light-field cameras, near-infrared image processing and computer vision research and their optimization. He collaborated on the eFacsimile project on light-field acquisition, as well as with the Montreux Jazz Foundation for the digitization of concert videos. Damien holds a MS in communication systems from EPFL. Pierre has worked as a freelance developer for a wide range of clients during the last years of his Master studies in Communication Systems at EPFL. He enjoys experimenting cutting-edge technology to create easy-to-use web applications. He notably worked on the development of a web-based seating plan editor for SecuTix, Lausanne. Pierre-Antoine Héritier has more than 40 years of experience as a restorer for ancient, modern and contemporary art. He brings his expertise in the specifications design for the investigation, collection, and archiving of multiple structural states of artistic surfaces for the development of COA, biometric passport and condition reports of artworks. He is the author of several models for reproducing different techniques and fragilities of art pieces standards. He works for institutions and private collections in his workshop located in Geneva and in his bonded workshop at the Freeport of Geneva. Founder and Managing Director of Sapience Advisory, Mohammed has over 25 years of experience in real estate development, international investment management, developing corporate strategies, and leading senior management teams. Mohammed managed multi million dollars in various investment funds and tailor-made portfolios for profiles ranging from retail investors to sovereign funds. He held senior executive positions, including CEO roles in investment and real estate development companies traded on the Kuwait Stock Exchange. Served as Chairman, Vice Chairman or member, on several boards in the business disciplines of hospitality, architecture & design, real estate, investments, and stock exchange. Within these numerous boards, he was a member and also have chaired several committees such as the Audit Committee, the Remuneration & Nomination Committee, and the Strategic Committee. Eve is Managing Partner & Founder of Ness Family Office SA, and has been an active investor and member of our Strategic Advisory Board since Artmyn's Seed Round closure. With more than 20 years of Private banking and financial experience for UHNW clients, from 2006 until September 2012, Eve worked with Banque Privée Edmond de Rothschild in Geneva as a Director. Previously, Eve worked 8 years with Citibank, Geneva, covering the UHNW clients for the Israeli market. Currently heading the Private Investment Office of a Swiss-based executive, Louise is also a director and board member of a Private Wealth Fund (BVI) for an UHNWI based in Monaco. For the past three years, Louise has worked with executives and entrepreneurs to assist them develop their personal investment projects. Based in Singapore from 2004 to 2014, she was a Senior Relationship Manager, Executive Director, at Bank Julius Baer & Co Singapore. As a Private Banker, she grew and developed the relationships with clients and External Asset Managers. Prior to that role, she was responsible for the Booking Centre for consecutively Credit Suisse (2004-2006) and Bank Julius Baer (2007-2010). Her teams covered the offices in Hong Kong, Dubai, Switzerland and London. Managing Partner at MYL Consulting Ltd.
We are based in Saint-Sulpice, Switzerland. Feel free to contact us on social networks or by email at contact@artmyn.com for any questions. Receive the latest news and articles in your inbox!